With a sigh of great relief and at a huge cost the UNP surmounted the No-Confidence Motion (NCM) in Parliament. It is public knowledge that the conditions, attached to the support extended against the motion are many both from inside the UNP and outside now emerging as liabilities. Those in the party, the rebels who were vociferous as well as the silent mediocre elements gave clear signals of a need for a radical change. There was a significant emphasis on the word “radical” in their claim. It was well understood that what they expected was a complete change from what it is and what it was. Those who supported the UNP leadership at the NCM from outside too have had several issues which they could not convey to them under normal circumstances and chose this opportunity to push some of their claims with the obvious strength they had to prevent the UNP leadership from falling. They remain secrets to the country and no one can guess the gravity and the effect of these on the others from whom it has been hidden. Nevertheless those who obtained the conditional support for their survival will have to take appeasing measures. We will only feel the impact only after they are implemented! The position of the SLFP, the coalition partner of the so-called national government too is rendered further complicated. Earlier the party had faced a dilemma due to a section of the SLFP deciding to remain in the opposition without joining the government. They have now transformed into a new distinct group under a new party name and a symbol. So any further defectors will be neither there nor here. In the opposition they will be “nacha so, nacha anno” meaning neither a cocoon nor a butterfly. If the party does not take a decision which all could abide by, there will be utter chaos. Imagine the controversy the MPs, Ex-Ministers and some others if they continue in the government will have to face in the eyes of the party members ! After all a party is the membership. Whatever the leadership decides as temporary and makeshift arrangements for their survival, the ultimate support and endorsement comes from the party members. Therefore the SLFP will have to take a firm decision whether to continue as coalition partners with the UNP or not. If they decide to continue what is the fate of those who supported the NCM? They will most certainly be a strong group commanding the respect of the party members and those members of the public who desist corruption. Because they will be recognized as people who stood up to their principles against corruption. Those remaining to continue will have no future among the voting population of the SLFP. This will be an inescapable situation. Therefore the party has to take a firm decision, considering the pros and cons. In the long run a decision to part its ways from the UNP appears to be the most advantageous from many angles. They will be able to freely stand against the severe economic bungling championed by the UNP which is very likely to worsen in the future. The SLFP will also have the freedom and opportunity to build up the party which is now in serious dis-array due to many factors. The President as the head of any cabinet by virtue of his constitutional responsibility will continue and will serve to safeguard the large public interest in his capacity. The position of the UNP on the other hand will become extremely vulnerable due to several factors. On their own they will not have a clear majority. They may have to spend a colossal amount to ensure a majority because they will not have the liberty to offer Ministerial posts as they wish. There will be automatic restrictions imposed upon them due to constitutional limitations. The bargains for cross-over will be therefore on not so attractive terms and the casualties would be too clownish to depend upon, under such circumstances. Irrespective of all the above possibilities there are inevitable cross-roads looming as constitutional backlashes. The first ambiguity or a doubt of explicitness arose when the President had to seek the Supreme Court guidance about his term of office under the 19th Amendment. It was only then many realized that a transitional provision under 49(1) (b) had a special reference to the persons holding office currently were subjected to their continuation under the amended provisions of 19A! In the current context there can be several other conflicts and ambiguities arising out of the 19A. The legal luminaries under whose prerogative and purview such matters fall will address those when they crop up. But as ordinary citizens who also have an access to the constitution of the country, I wish to point out some grey areas as discussed by them. Firstly ,Article 46 (4) of chapter VIII (which has been completely replaced under 19A) refers to the concept of the National Government. It states inter-alia “where the recognized political party or the independent group which obtains highest number of seats in Parliament forms a National Government”. As far as we can see there is a significant emphasis on “recognized political party” in this provision. In the 2015 August election, the only recognized party that got the highest number of seats was the UPFA. It was a recognized political party registered with the commissioner of elections. Whereas on 12th July 2015, after the election had been called , the UNP, SLMC, and TPA signed agreements with the JHU and the anti-Rajapakse members of the SLFP to form the UNITED NATIONAL FRONT FOR GOOD GOVERNANCE ( UNFGG) to contest election. It was not a recognized political party. The All Ceylon Makkal Congress (ACMC) also contested with the UNFGG. The UNFGG had originally being established by the renaming of the JHU after it left the UPFA. It was registered as a political party with the Diamond symbol. Despite this the UNFGG contested the election under the name and elephant symbol of the UNP. 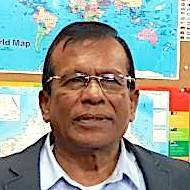 UNFGG General –Secretary was Champika Ranawaka and not the General Secretary of the UNP. Champika Ranawaka stated then that the JHU name and its conch symbol will be revived after the election. All these points to the fact that the UNP as a single “recognized party” did not secure for the party a sufficient number of seats to be qualified as the recognized political party that obtained the highest number of seats. The UNFGG won 93 seats as a group of all other parties, whereas the UPFA singly as a recognized party won 83 seats. The agreement signed after the Central Committee meeting of 20th August 2015 by the SLFP General Secretary Duminda Dissanayake and Kabir Hashim General Secretary of UNP as a Memorandum of Understanding between the UNP and SLFP to form a Unity Government, therefore has no legal validity to form a National Government because neither party has the eligibility as the “recognized political party with the highest number of seats” to join with another and form a National Government. There are other serious constitutional issues which if challenged may lead to further ambiguities requiring legal clarifications. 43 (2) state President shall, on the advice of the Prime Minister appoint from among members of parliament, Ministers to be in charge of the Ministries determined by the President. But 44(1) which deals with the appointment of non cabinet Ministers, state “The President may, on the advice of the PM appoint from among members of Parliament, Ministers who shall not be members of the cabinet of Ministers”. Emphasis on shall and may is by the writer. Does it mean that the President has to appoint the Ministers and the advice of the PM is not compulsory? Whereas the application is slightly different when it comes to non cabinet ministers because it states President may and not shall. The power to determine the number of cabinet ministers is only with the President and the assignment of subjects to each Ministry is also a power vested only with the President. There is provision for the President under 46(3) to change the assignment of subjects and functions and the composition of the cabinet of Ministers at ant time. The PM will have no say legally on such matters. According to Section 48 (1) of the Constitution, when the PM ceases to hold office by removal, resignation or otherwise (Sinhala Version) the cabinet of Ministers stands dissolved. In such circumstances the President has to appoint a new PM and a cabinet of Ministers. If the President decides to introduce a new cabinet with new assignment of functions and a new composition under powers vested in him then the existing cabinet stands dissolved. Then the President will have to appoint a new PM and a cabinet of Ministers, as determined by him. The new PM will have to advice the President who the Ministers are. 46(4) states that in the event of a National Government the number of Ministers and Deputies will have to be determined by the Parliament. But according to 43(1) it is the President who has to decide the number of Ministers and Deputies, the subjects and functions of such Ministries. Is there a conflict in this instance? According to 46 (2) PM shall continue to hold office only during the period which the cabinet of Ministers continues to function. Therefore if the President decides to form a new cabinet, the office of the PM falls vacant until a new PM is appointed. The 19th Amendment is a hurriedly passed constitution. The current context demands the application of its provisions to the circumstances that have arisen. So what is looming in the aftermath of the NCM is not a rosy picture. “They will most certainly be a strong group commanding the respect of the party members and those members of the public who desist corruption. Because they will be recognized as people who stood up to their principles against corruption” by this particular statement what message the writer tries to convey to the readers? And the country has so far witnessed ‘Bond Scam’ as the only corruption and those voted in favor of the NCM are against and without corruption. By bringing the NCM, the JO members have tried to show that they are cleaner people in politics and the people may forget what they did during their ‘clean’ governance. So that makes it clear that Mr. Rusisri the great Trade unionist/ corruption fighter/ Bank chairman /fair commentator etc, has finally thrown off his sheepskin and come out fighting with the corrupt crooks of the J.O. So what was all that blah-blah about the “bond scam”, which is supposed to have bankrupted the country? So many books have apparently been written, but the author is unable to post a simple explanation on CT! Why does Mr. Rusiri not write about Sri Lankan Airlines and Mihin Air ? After all there are no white vans now. “The UNFGG won 93 seats as a group of all other parties, whereas the UPFA singly as a recognized party won 83 seats.” The UPFA itself is a group of the SLFP and a lot of smaller parties. So it is dishonest to criticize only the UNP, whatever the allegedly legal verbiage employed. Aha! so Mr Rusiri thinks that the likes of S.B.Dissanayake ,Mahindananda Aluthgamage and Udaya Gammanpila are paragons of virtue! Why not drop the crap and say that you are talking about the TNA? Why is it bad to do deals with them , while it is OK to deal with a bunch of JO crooks? It appears that you have finally decided to throw off your “anti-corruption campaigner” cloak and come out as an unambiguous Rajakapaksa acolyte. Great. At least your ( UNPAID ? ) colleague at the Sirasa kangaroo court Dr. DJ had the guts to do it openly from day 1, and for that I take my hat off to him. Now it is quite clear why you see only green-coloured corruption! I do look forward to many more propaganda pieces disguised as learned analyses from your pen. Thank God I don’t have to live in the shithole ……….. my kids don’t even speak the language; culture totally expunged …..when adults, free to pick whatever they want of the “world-culture” ……. I have read history and learned my lessons ………..
How can you pass on this Lankan culture ……… even to animal? What is the bloody point? Can one live a honest life with such a culture? Werner Herzog ……. when asked what scares him the most, said ……… when he looks in to the eyes of a chicken the stupidity he sees scares the hell out of him …………irrespective of the language they write-in and “Western” pretensions ……. some Lankans scare the bejesus out of me ……….. I have a low boiling point when I spot a sheep-like wolf being solicitous. Even Dr. DJ doesn’t do that. Please do not try to clean Ranil’s a-s. That really smells. Please feel free to explain with figures, how colossal the amount is, and who exactly is at a loss. If you cannot, be quiet. About two years ago, Maithripala Sirisena knew becuse of Paada YAathra by MR and group from Mahanuwara to Colomba, That MR was trying to topple the govt. NCM also was to topple the govt. So, they don’t care whether Ranil is wrong or not, they want to keep the govt. Listen how they talked in the parliament. IT is just to stay in pwer and to reap the perks, benfits and higher incomes, trips etc., Sri lankan PArliament doe snot have any laws. law enforcement. It is completely Alibaba and forty thieves. IT si simply they got power and they stay in power. there is foreign influence too. Because IT is CBK, Ranil, Mangala, all complete their agenda. foreign news papers,British and French, publish those information. Thanks Rusiripala Tennakoon for refreshing our minds. Thanks to the commenters for the timely revelations which to some degree alleviated our confusion. I think this UNFGG is one like the FCID and Yahapalanaya. It is the same old thieves who bring these names in order to come to power.for almost three and half years they are busy withthe bond scam. the world is predicting a global melt down because of financial liquidity and debt crisis and sevenother factors. thsi govt have two probems that I mntioned. ITis easy for us to go bankrupt, if there is a recission in the world which affect oil prices and cause midle east to follow austerity measures. they spread sharia laws to other muslims societies but rhey sue western rule books. Anothe rpoint is another increaswe in salaries because the govt did not do anything and they are prinint another Rs 100 billion (papers report). Tis is the translation of a French aricle: with respect to what is happening in Srilanka.The hope was that Sirisena would yield to the pressure of UN agencies and human rights groups by revising the official Sinhala narrative of the war, weakening national unity and opening the door to globalization. to the West, always more invasive. As Jean-Pierre Page has pointed out, President Sirisena has considerably compromised the country’s independence to please Washington and the self-proclaimed “international community”; yet a recent interview with Al-Jazeera suggests that he is being asked for more. The Muslim attacks serve only the Washington agenda, supporting its allies in a faltering Yahapalan government, reducing opposition to silence inside and outside the government, dividing the people, diverting their attention from the real problems and advancing Washington’s goal of making Sri Lanka a vassal state that can be used in its strategy of containment and repression of China. When Yahapalanaya lost in the LG election Chandrika left to UK. It’s not sure true or false; one story was she was scared of Old Royals coming back. Another story was she got disappointed by the New King’s performance by cutting the branch he was sitting on. If true, the first reason can be dismissed casually, but the second one, if true, is going to create friction between Chandrika and New King. There is a talk that Fowzie is shuttling between Ranil and New King. If that is true, here is serious abrasion between these heads. These are aftershock of the earthquake, NCM. Fowzie wouldn’t have any problem to show anybody the tail or face at any time. There is lot of gossip stories crawling all over everywhere about the dating between Old and New Kings, so the new shuttling person who approaches New King would be expectably acceptable to Old King too. Sobitha Thero and Chandrika were matchmakers of the 2015 election. Now Sobitha Thero is gone; Chandrika cannot get along with Old King; so Fowzie is in the new job. New King is already a spent firework. If anybody wants to put him as CC again, it is clean risk. He no longer can command the minority votes. Majority is not with him. So it is the automatic selection of Old Royals candidate. But side lining Chandrika and using fowiz creating new question, i.e. if New King will continue to look at Chandrika, UNP and Minorities for next election or he is on the process of merging with Slap Party, keep only EP with him and offer Old Royals to have all the rest. New King is only a standalone now. That kind of a deal would not be a big deal for him. If that is the plan, then Chandrika will alienated from SLFP permanently. If Ranil lose, UNP will be devastated. Last time, in 2012, 2013….. Ranil sacrificed everything he had to get a National Government with Old King, but it did not work. Unless Ranil agree to increase the Ministers numbers beyond a practically possible number, Old King have nothing in taking of Ranil on board. If Ranil goes like that Ranil remain their more slave than now. I wonder how the external forces would react for that kind of situation, a complete loss for all of them other than China. I can assure you I am not Jim Softy. And I am not praising RW. But those who are being “ridiculed” can defend. Do you see anything like that? Not my fault, is it? Why does not the President refer this issue to the Supreme Court as an urgent matter. It will clear the air and bring in political stability until 2020. Why is the SC silent? Prevailing Hobson’s Choice is a disaster for the country. Wake up S C ?